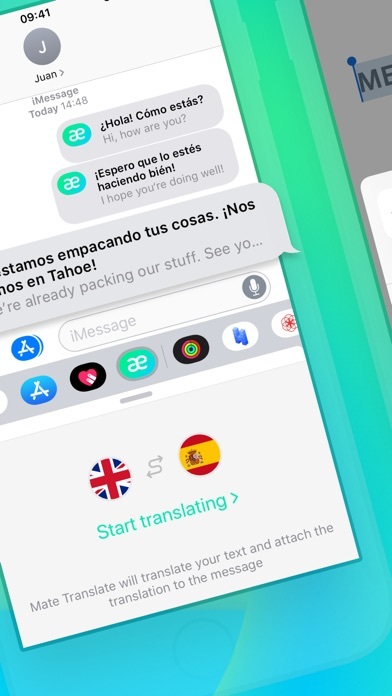 Featured in the "Best Pocket Translators" by Apple. 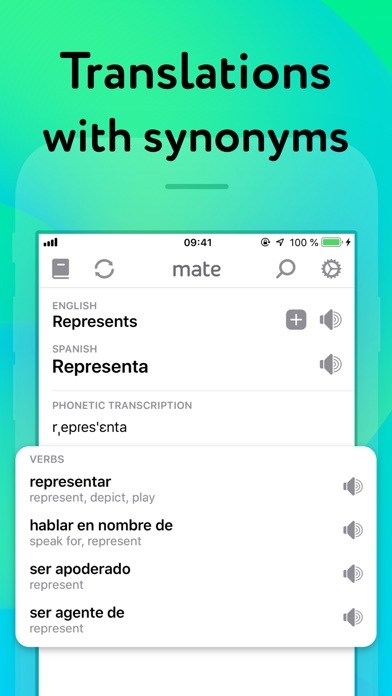 Mate translates 103 languages and also teaches you how to pronounce words correctly. 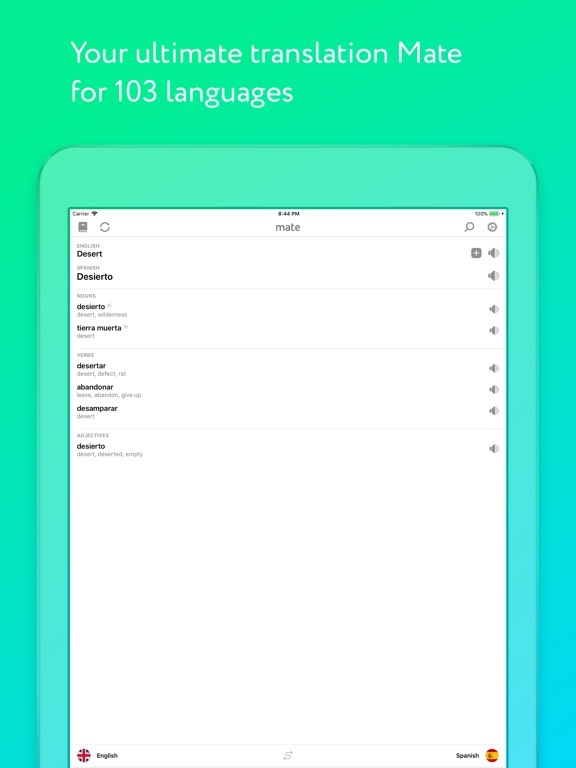 It also perfectly understands speech in 40 languages and lets you hear the translation back. 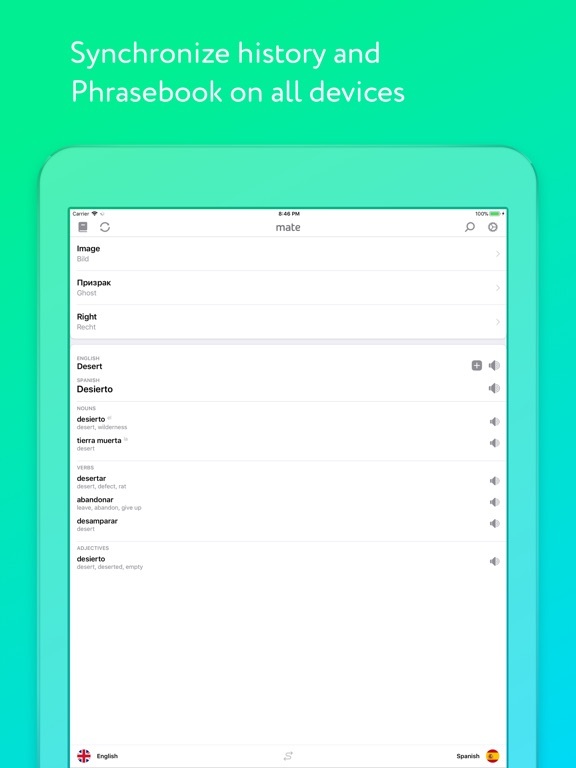 Phrasebook helps you to easily save & keep words you want to learn. 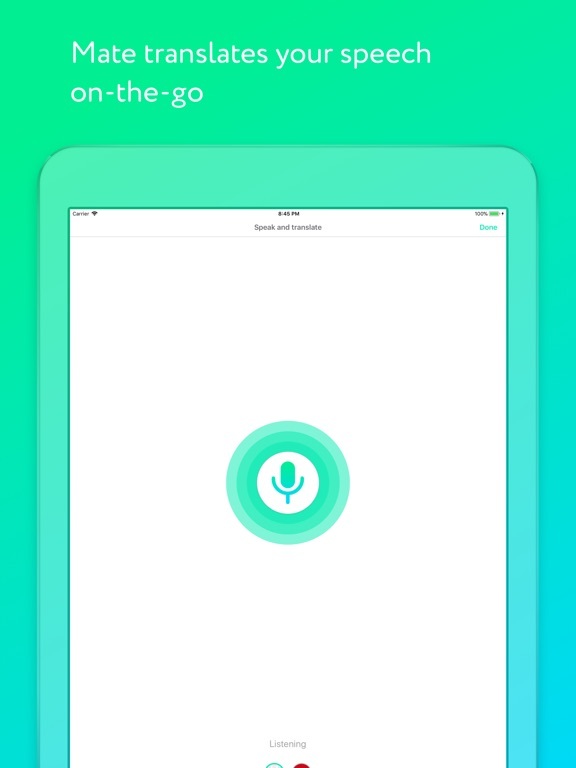 • Mate perfectly understands speech in 40 languages and lets you hear the translation back. 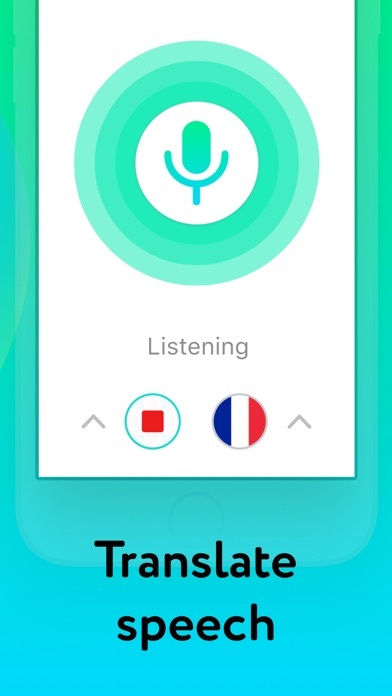 • Know what to say in a different language even in a crowded, loud bar! • Language learners and travelers! 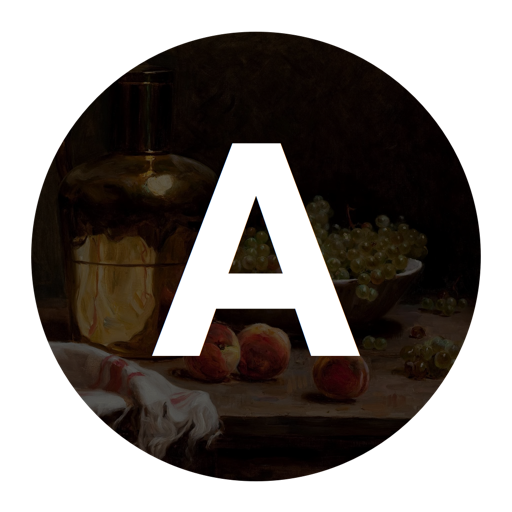 Create custom word lists for any language and keep them handy whenever you need. 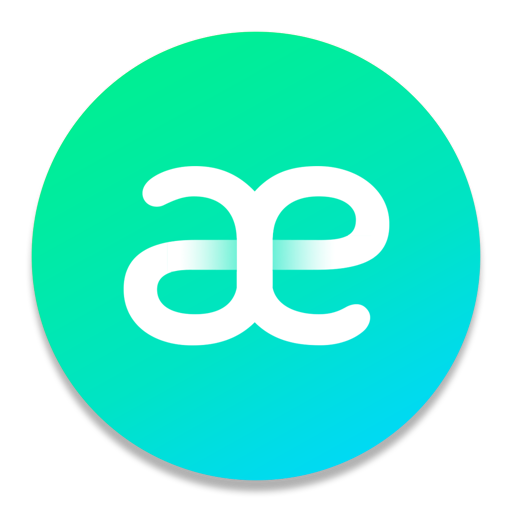 • Stop switching between apps when you need a translation and use Mate everywhere you go! 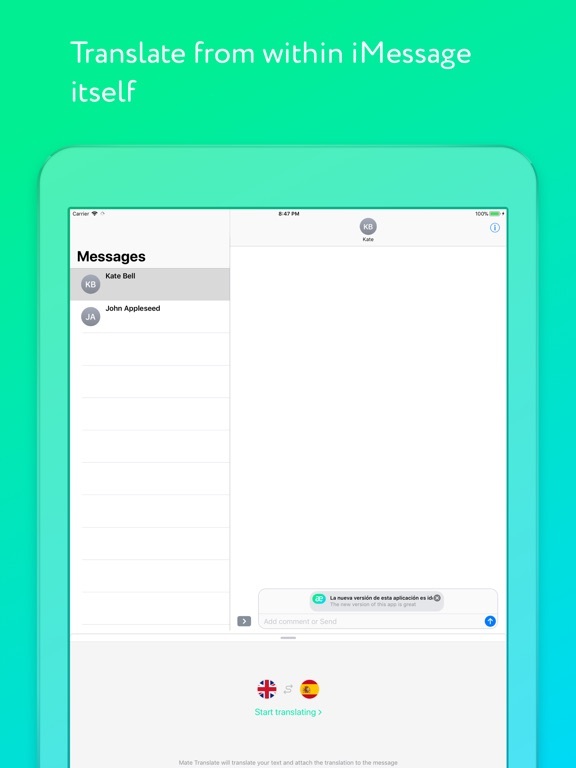 • Translate anywhere, and even use Mate in iMessage and on the lock screen. 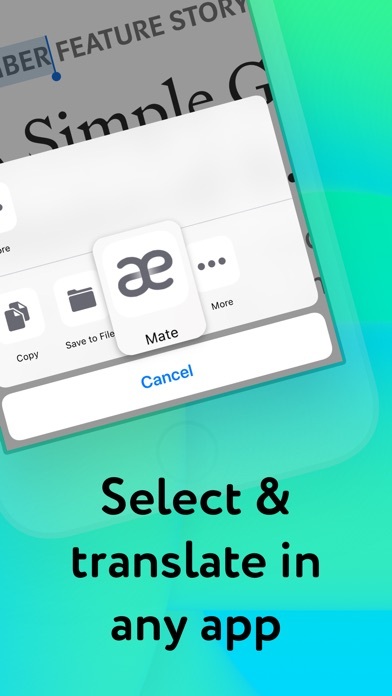 • Select any text in any app and get a translation by hitting the “Share via Mate“ button. 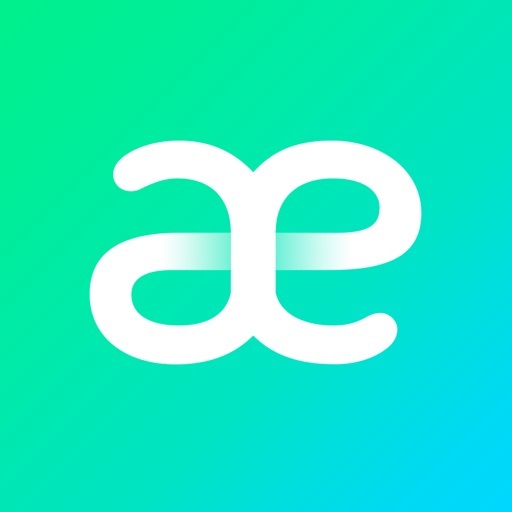 No matter what you need translated, a word, a book or a friends’ message, no compromise! 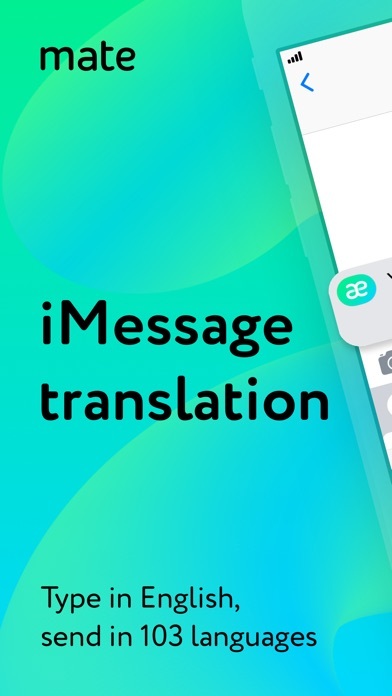 Now “Mate it,” will mean, “Come on man, just use this awesome app and forget about using translation websites.” Use Mate for all your translation needs! 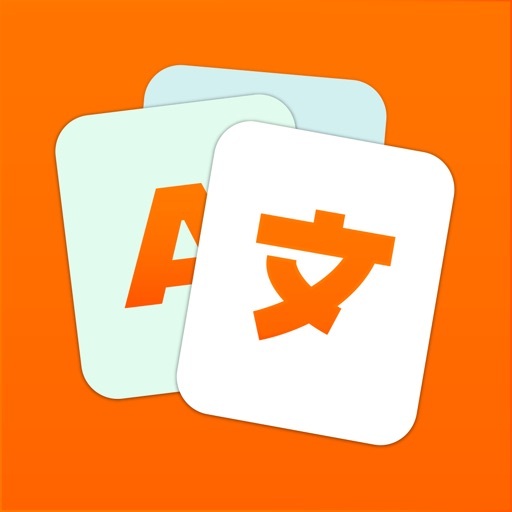 Download Mate today to get your ultimate translation helper! We fixed a crash on startup that affected some of the users.